Umbrellas dotted the crowd as much as the mortar boards during Knox College's 170th Commencement Ceremony on a recent rainy Sunday morning. CBS News' "60 Minutes" Correspondent Bill Whitaker told the 300 graduates during his commencement speech that the rain was a sign of good luck. As a CBS news correspondent, Whitaker has covered presidential campaigns, court cases, and foreign issues in Atlanta, Tokyo and Baghdad to name a few. Whitaker encouraged the Knox graduates to go outside of their comfort zones to meet new people. "Diversify, not your stock portfolio, your friends and your relationships. According to the Census Bureau, by 2044, no one racial group or ethnic group will dominate the U.S. population so get to know your neighbors,” Whitaker said. Whitaker told the graduates to consume as much news and information about the world as possible and to seek out opinions and views that are different than their own while keeping an open mind. “I can only imagine what the years will be like after you leave this campus. But this I do know, your future will be exhilarating and terrifying and wonderful. But it will be your life, live it fully,” Whitaker said. Knox College awarded honorary degrees during the ceremony to Bill Whitaker, Mathew Berg and June Cross. Mathew Berg graduated from Knox College in 2000 with degrees in computer science and integrated international studies. He went on to create the social enterprise technology company Ona which provides technical consulting, design and software-related services for organizations and projects across the globe. In 2010, Berg was named one of Time Magazine's "100 Most Influential People in the World." June Cross is a professor at Columbia University's Graduate School of Journalism in New York. Cross is currently working on a documentary about HIV in rural America. She is an Emmy award-winning producer and reporter. Her work has been featured on PBS' "Frontline" and "NewsHour,"
This was the first year Knox held graduation on a Sunday. Copyright 2015 WIUM-FM. To see more, visit http://www.tristatesradio.com. Monmouth College will be on nation-wide television this weekend. On Sunday, it will be one of four college commencement addresses broadcast live by C-SPAN. 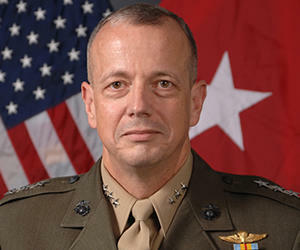 A national audience will be able to hear the speech at Monmouth by General John Allen, the Special Presidential Envoy for the Global Coalition to Counter ISIL, the Islamic State. The cost of attending Knox College will increase next school year. Knox College has renovated one of its oldest buildings without throwing anything away. Last month, it re-opened Alumni Hall. Froggi VanRiper, Director of Campus Sustainability, says beginning in October 2013, the college did a "complete interior overhaul" of the 150 year old building. The changes include structural repairs, new study areas and lounge rooms, and renovations to the large, central atrium. Also, 45 staff members now use previously empty office space in Alumni Hall. And, VanRiper says the construction crew was able to recycle 95 percent of all waste produced.